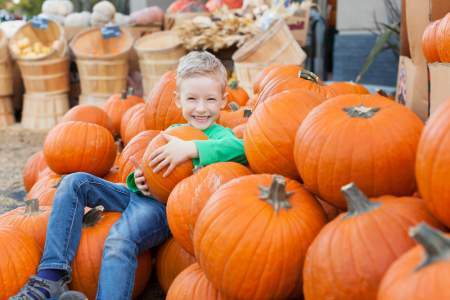 McKee Ranch Pumpkin Patch: enjoy up-close-and-personal animal encounters, a wild west atmosphere, hay rides, a playground, entertainment, and more. Bring a canned good donation for Las Vegas Rescue Mission. Entry fee helps provide for animal care. The McKee Ranch is located one mile south of the Silverton hotel and casino at 8982 Dean Martin Drive in Las Vegas. For more information, call 702-361-9606. About the Ranch: McKgee Ranch is a working farm that allows visitation with the animals, as well as allowing use of the facility for special events. This is the sixth year the ranch has helped raise canned goods for the Las Vegas Rescue Mission.